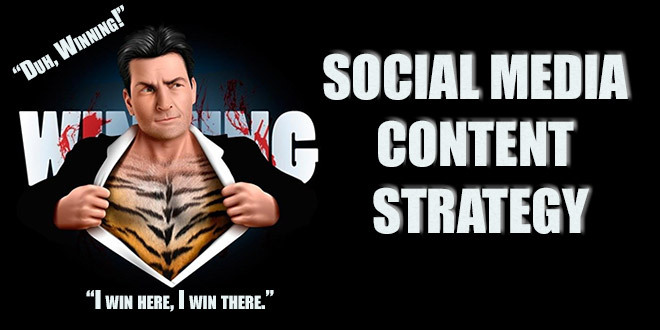 Building a Social Media content strategy from scratch is not as simple as it may look. What should you say? How will people respond? How often you should send out offers on Facebook Vs. Google+, Twitter, Facebook, etc? And how much money, energy, and thought you you add to your product images and content? First & Foremost – Ensure your name is everywhere! Your branding should be as consistent as possible throughout all social media channels. Before you go any further, go register at once! Facebook, LinkedIn, Twitter, Instagram, Pinterest & Google+, just to name a few. Come on, jump off and register your name now. There’s no time like the present, don’t worry this post will be here when you get back. Too many companies jump into social media simply because ‘their competitors are there’ or ‘Someone else thought it was a good idea’. Or from the strange idea that is grown in some quarters, that companies should just dive straight without thinking it through first. Do not buy into it, a key factor for a good social media presence over the long term is to have a proper strategy. If your company has already jumped into social media without a plan does not mean it’s too late to get one. What are you trying to achieve? Is it to sell more, to increase awareness and build confidence, or to show off your expertise and guide potential customers to your site? Or perhaps to recruit and build employer brand? Your goal should be the main purpose why you are investing in social media, and what you are measuring on to see if you get a return on investment. Always make sure that your goals are specific and realistic as possible, although they will be challenging. A target like ‘posting a picture of the week on Facebook’ is not very difficult to achieve, yet would not generate much value either. And anyone can write ‘We will have 1 million ‘likes’ on Facebook in three weeks.’ It’s nice to want things, but if it’s unrealistic prepare yourself for disappointment. Simply put: Make sure to distinguish between dreams and realistic goals. Who is your target audience? Defining your target audience is crucial because it will help you in several ways. What social channels are the best way to reach them – Facebook, Twitter or Instagram? Do they interact with your business there? The better you know your target audiences, the easier you can develop and customize content that you know will appeal to them at the right time. A good rule of thumb is that the content should be SMART, i.e. Specific, Measurable, Accessible, Relevant and Time-controlled. You are more likely to succeed if you have a good handle on your target groups’ needs, behaviors and personalities. An equally important part of this is listening. If you define the target audience, and states that it is on social media, it’s a great opportunity to find out what is important and relevant to them. Once you know understand who your target audience is, it’s time to plan out what type of content you need, how much content, who will produce it and what it will cost. The main reason why you have to get this into your strategy is that you do not want to produce content that is used only once, in a single channel. Therefore, you must find a process and a plan for the overall content production, taking into consideration other channels and needs. Find topics that interest your target audience. Do you sell cars? You could write a post about ‘The History Of Chevy Camaro’ or ’10 Quick Tips About Winter Tires’ if your business is in a colder region’. Also, do not be afraid to share your opinions on the topics you write. Your opinion reflects you and your company’s personality and culture. What is good base content? Your content should consist of a balance between what you want to convey and what the target audience wants. Many people choose to split their content into base activities and promotional activities. These can be grouped and clustered to be easier to manage in terms of content and objectives. Consider your brand’s core values and discuss what you stand for, what feelings you want to convey and what you want the audience to think, feel and do when you share interesting content. How should this be reflected in social media? What is good campaign content? Campaign Content is often time-bound and linked to shorter-term activities of the company. This can include a product launch, a new offering, any current event that you want to comment, both types of content, are important to create variation and long-term relevance. Consider in what channels your base content and promotional content greatest benefit and customize all your activities per channel. Many people choose to share knowledge by providing tips and advice on various issues. But the opportunities to vary their content from different perspectives are almost unlimited. Storytelling about the company, history, or employees is a good option, moving images in the form of films and animations also have a high observation value and are often shared. All types of interaction are usually appreciated when your readers and followers have the opportunity to be involved in what you share. When you feel you have all the pieces in place a clear content strategy is the time to create an activity calendar so that you know what should be conveyed, when and in what social channel. Perhaps it is also location to find a good tool that helps you to time the posts and sharing automatically. There are many good ones on the market but the best effect, you still get if you somehow adapt and tailor the content for each division with some form of hands-on so that it is not perceived as an “automatic sharing”. Keep a watchful eye and be responsive to anyone who interacts with you. This helps your recipients to become involved and let’s them know that you are committed. Success in social media is dependent on having the resources to be able to have a good presence there. You need a someone who can post content, interact with your followers and visitors, can answer questions, or respond to criticisms. Ideally you should try to have some kind of social media presence or internet management service in place. In addition to this, you need one who really understands the different channels peculiarities and unique opportunities. You need someone who can plan in advance, so that the production of content and interaction with the visitors continuing and evolving, even after the initial joy subsided. Social media is a marathon, not a sprint. Maybe you are fully satisfied with measuring appreciation, shares, comments, etc, but upper management will expect you to show measurement points (KPIs) that are more stable and business-focused than that. Therefore, you must start from the objective of the presence of social channels, and bring out your measuring points accordingly. If there are sales that are at the center, it’s on the measurements to be made. The same applies for information, recruitment, etc. You need to develop KPIs that really answer the question of if the investment made is paying off. There are more elements of a strategy for social media, but what I’ve listed here is a good start. If you develop a plan that addresses the points I have raised you have a platform to base your future work. You now have an opportunity to build a social media presence that will generate real value over time.